‘Orisons’ is the old English medieval word for prayer, from ‘orare’ to speak and ‘oracle’, the means by which God speaks. 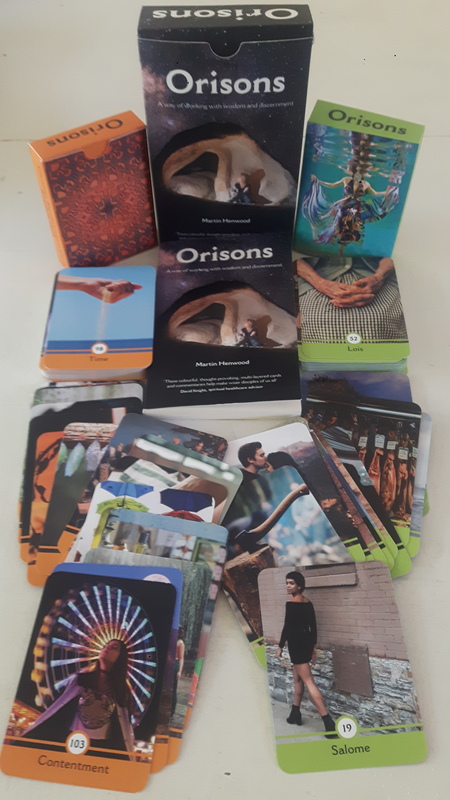 Orisons presents 104 picture cards and commentaries, and prompts people to make connections with what is happening in their lives and how the Holy Spirit may be guiding them. It uses the various characters, events and values of the bible and Christian faith to develop wisdom and discipleship in participants. The simple act of drawing a card, reading its commentary and pausing to reflect can stimulate and inspire fresh thinking on all the thorny issues confronting us in our daily lives. If you are curious as to why Orisons has been created and how you can make the most of these two decks of cards and commentaries, then please read this relatively short introduction. A ‘heads up’ on Orisons is that it has been written to provide you with a quick walk through the bible, introducing some of the main characters and events that took place, and relating them to matters of concern today. Orisons is therefore an educational tool introducing you, in a fun but sincere way, to the main characters and happenings in the bible. Orisons also introduces you to the values and thinking of Christians, and provokes reflection about how these values might be applied in life today. The cards and commentaries will provide a good grounding in what the Christian faith stands for. At a deeper level, Orisons has been designed to allow a conversation to take place between people of faith, their circumstances and God, so that they may be helped to consider the ways in which God is asking them to reflect or act. The deeper intention of Orisons is to enable the reader to hear what God might be saying. In many self-help books on using silence and mindfulness, not much has been written about what to do with the material that arises in silence and contemplation. Often the advice is to notice and name the conversations and let them go, or, with repeating patterns, to learn from them. Not much is available or written about how to make use of thoughts, associations, feelings or sensations that arise. This book, however, works with these kinds of information as they make themselves present, and suggests ways in which to make sense of what might be occurring. When we allow critical incidents in our lives to be present, and seek God’s guidance, we give ourselves space to reflect on them, and we do this in prayer. In this way, the dynamics from critical incidents become manifest. Information from the past, present and future is made available. This material can be worked with by exploring further where the thoughts, feelings, associations and sensations lead us. Orisons has been created to enable you to do this. Orisons puts you, the reader, at the centre. Having introduced you to information about the people in the bible and the events that shaped their thinking, Orisons will, through gentle prompts using other people’s life experiences, put you in touch with situations that you might be encountering today, and ask questions of you. This helps you to think more purposefully about the issues or circumstances you are facing, which will then enable you to consider actions that might not have been available to you before, and which you may now wish to take. Orisons is a resource to be used on your own at home or with others in groups. Working with the cards and commentaries provides you with the information and insights necessary to understand the Christian faith. To summarise: the commentaries on the two decks of transforming picture cards, one deck on the bible and one on Christian values, have been written for those who wish to apply the Christian faith more effectively in their lives. 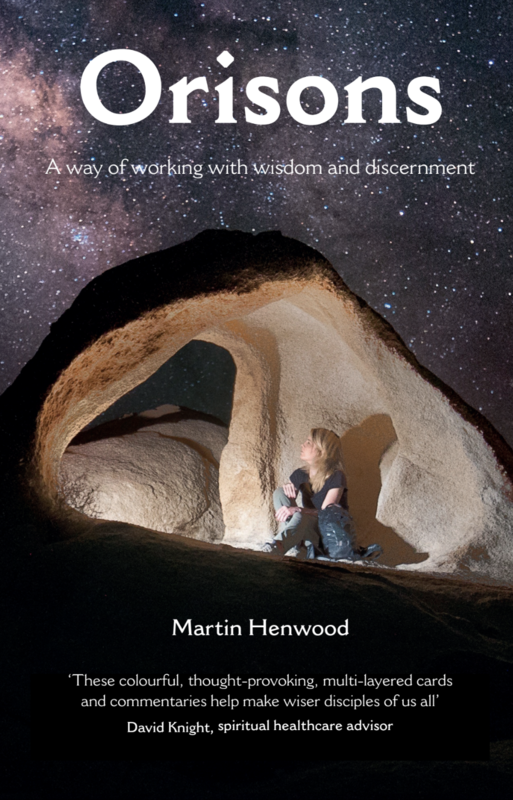 The cards and commentaries are suitable for people over the age of 14, adults new to the faith and those wanting to extend their spiritual practices. 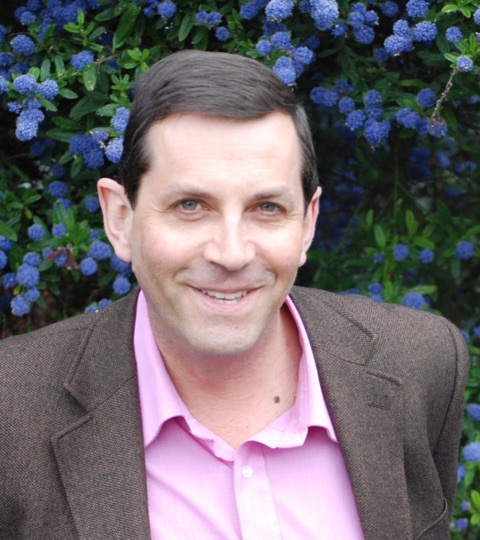 Martin Henwood studied theology at Glasgow University and has been the vicar of Holy Trinity Church, Dartford in Kent for more than 25 years. For eleven years he served as a non-executive director and Chairman of an NHS Trust. He has a love of theatre and has worked as an actor and director in India and Australia as well as in South London. He describes himself as a serial curator of initiatives, motivating and bringing people together to participate in their passions.